Welcome to AccuPrompt EDM Professionals, a premier EDM and conventional machining services supplier. AccuPrompt specializes in precision component manufacturing and EDM machining. We have a large customer base, ranging from Commercial to Aerospace and beyond, which allows us to support a wide variety of manufacturing needs. AccuPrompt works closely with all our customers to provide a completed product that meets or exceeds your expectations. 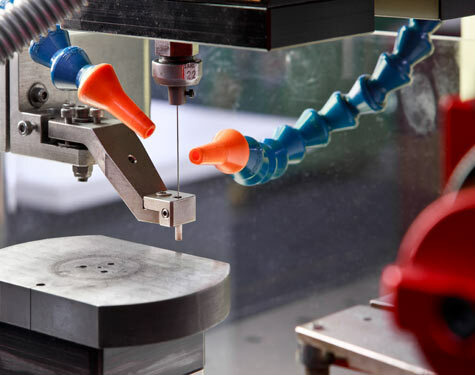 We’ve been a dependable provider for over two decades, successfully supporting customers from a variety of industries—domestically and internationally— through innovative CNC Wire, Conventional, Micro EDM, Small Hole EDM and specialized precision machining services. AccuPrompt works in partnership with you to provide fast, reliable and cost effective EDM solutions that will extend and enhance your existing capabilities, allowing you succeed in today’s competitive global marketplace. We’ve reengineered the way our small and large volume EDM parts are machined–a proprietary secret. And we pass these innovations on to you with every job. Our customers see us as an extension of their own capabilities and we see them as integral partners to our organization. Our global family of clients is a testament to our ability to introduce EDM ingenuity into designs and concepts that would otherwise be unachievable using conventional machining methods. 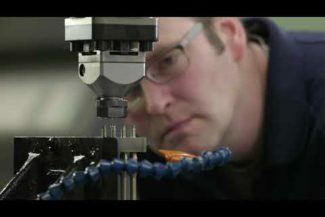 We work in partnership with you to provide fast, reliable and cost-effective precision manufacturing that will extend and enhance your existing capabilities — helping you thrive in today’s competitive global marketplace. Our state-of-the-art EDM machining services and meticulous attention to details allow us to reliably take on EDM projects of any size or type and deliver it to you on schedule, whether it’s 1 part or 100,000+ parts. Our FTP site can accept files of any size and offers you the ability to create a secure and safe connection to our site so you easily upload files necessary for us to expedite your job. Contact us to establish a login and password. EDM Today – AccuPrompt featured as a Top Shop!